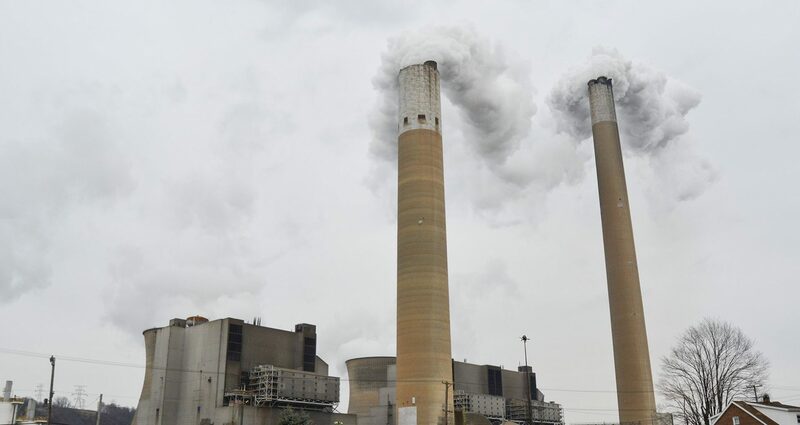 The Bruce Mansfield Power Plant burns coal to generate electricity in Beaver County. “Federal action is necessary to stop the further premature retirements of fuel-secure generation capacity,” says a 41-page draft memo circulated before a National Security Council meeting on the subject Friday. The document has been marked as a ‘draft’, the report states. The memo outlines how the Department of Energy would use two seldom-used laws — the Defense Production Act and the Federal Power Act — to keep power plants on for two years while the agency studies the issue. Any attempt to prop up coal and nuclear plants has been opposed by both environmental groups and the natural gas industry. Low-cost natural gas has lowered the prices that coal and nuclear plants can charge for their electricity. The owner of the Three Mile Island nuclear plant has said its plant has been unprofitable for six years. The proposal could have a big impact on PJM Interconnection, the country’s largest electric grid, which covers Pennsylvania and much of the mid-Atlantic. Ratepayers would be on the hook to guarantee profits for the ailing coal and nuclear plants, and those plants could add up. Estimates put the cost of a similar Department of Energy proposal from last fall between $300 million and $11 billion a year. One company that could benefit is FirstEnergy, which filed for bankruptcy in March, and plans to close three nuclear plants in Pennsylvania and Ohio. It asked Energy Secretary Rick Perry to help its struggling coal and nuclear plants. In bankruptcy documents, the company revealed its Bruce Mansfield plant, in Shippingport, Pa., lost $90 million in 2017 alone, and is projected to lose $104 million this year. Another company that could benefit is one of its main suppliers of coal – Murray Energy. Its owner, Bob Murray, is a Trump backer who has personally lobbied Rick Perry to help the coal industry. Read the rest of the Bloomberg report here.